Listen to the top nationally-known Christian teaching programs from teachers like John MacArthur, David Jeramiah, R.C. Sproul, Alistair Begg, James MacDonald, Focus on the Family including Adventures in Odyssey. 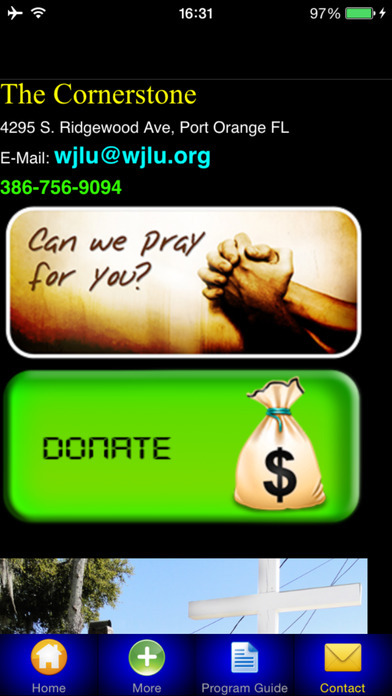 Every Saturday morning in between programming listen to our Sacred Music. 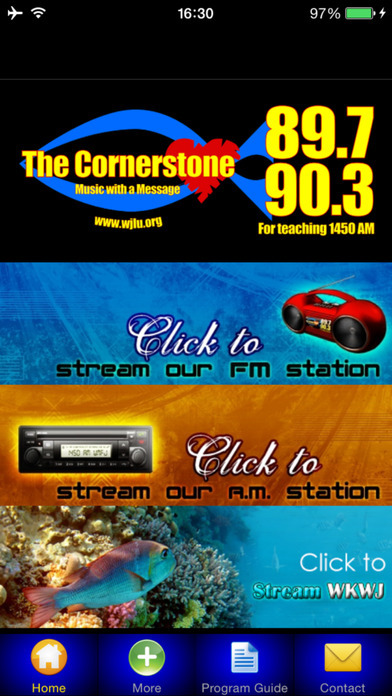 Listen to the top teaching programs such as In Touch with Charles Stanley, Insight for living with Chuck Swindoll and Family Talk with Dr. James Dobson in the morning and evening hours but throughout the day you can enjoy the best in inspirational music from Christian artists like Casting Crowns, Francesca Batistelli, Point Of Grace, Michael W. Smith, Steven Curtis Chapman, Chris Tomlin, and many more. Join Chris & Edie in the afternoon (weekdays from 4-6 p.m. EST) for lively conversation and interviews. Every Saturday morning, Children will enjoy programs such as Paws n’ Tales, We Kids and Ranger Bill. Explore the program guide, read the monthly newsletter, email the staff or call during contests. Bible Trivia Tuesday and Thursday between 12:00 & 1:00 p.m. (EST.) or for a chance to win prizes during the many call-in give-a-ways throughout the year. 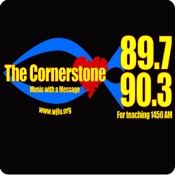 The Cornerstone: reaching the lost with the gospel of Jesus Christ and discipling the saved.